Our next port of call on our cruise was Naples, Italy. Our first stop was Sorrento, a lovely tourist town with lots of shops that sell olive oil, balsamic vinegar, limoncello, and more. We picked up some items there and had them shipped back to the States. YUM-O. An original Roman Bridge leading into the town of Sorrento. Our next stop was an agro-tourist farm where we enjoyed a delicious lunch and learned how ricotta and mozzarella cheeses are made. Next on the list was Pompeii. The ruins of Pompeii from the outside. Pompeii was an amazing experience. 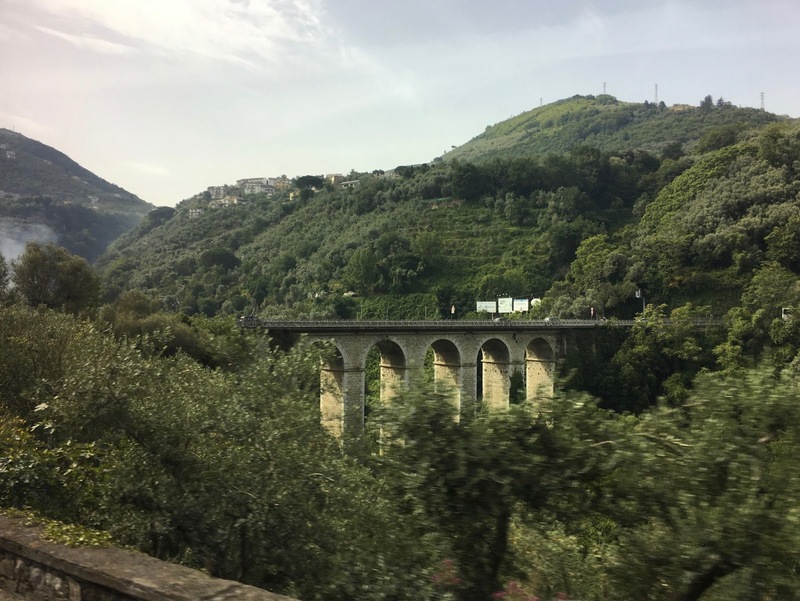 Our tour guide, an 82 year old Sicilian named Roberto, was on the original surveying team, and provided amazing depth for someone who gives bus tours. Some of the ruins from the inside, with Vesuvius lurking in the background. 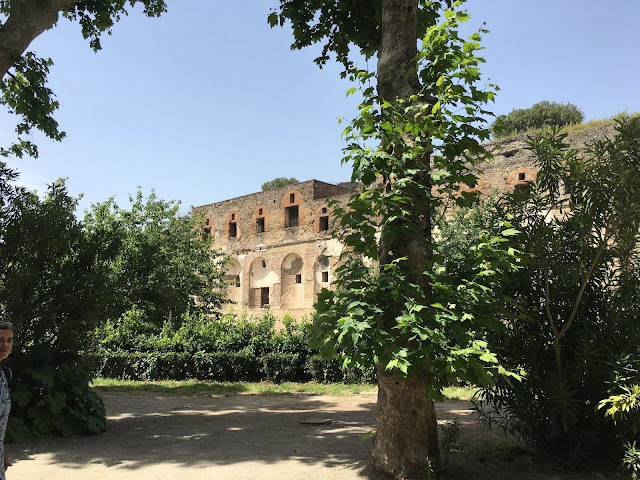 We didn't have time to see the Herculaneum, but we fully intend to go back to Italy for a destination vacation in a few years, and that will be on our list. I loved Naples. 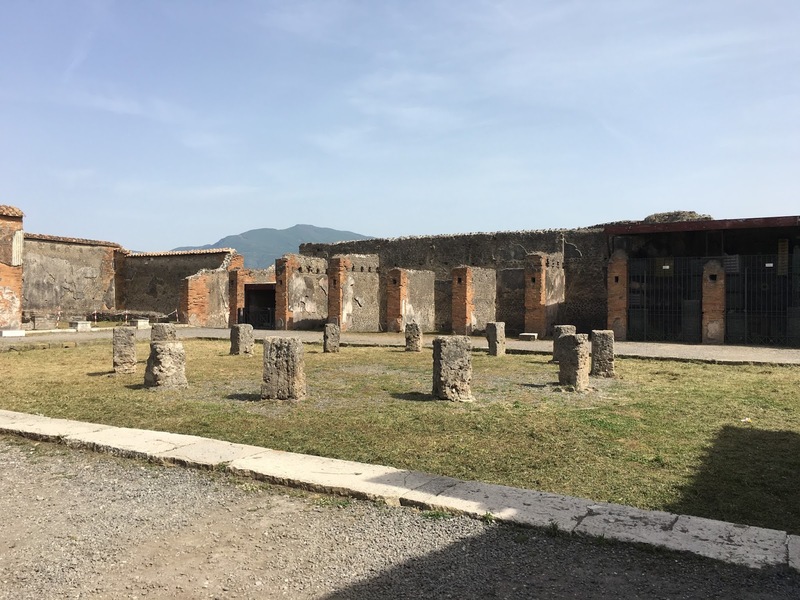 I wouldn't live there, mind you - the threat of Vesuvius is real, and ever-present, but I loved the landscape, the food, the history and archaeology. After all I saw in the far and middle East, it made me a bit wistful that I never got a chance to be stationed in Europe when I was on active duty. A lot of the tour guides at Pompei and Herculaneum are retired or moon-lighting professors. It does make for an interesting and informative tour! When I was but a young yogi, I lived in Rome. The year I was 14 (1971), I "worked" with the tour buses, helping translate for the English-speaking customers and learning more and more about the Roman ruins. A great side job.